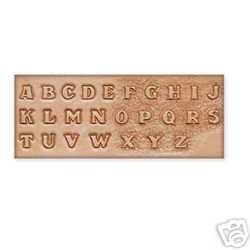 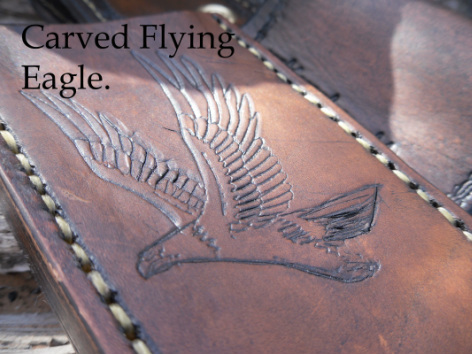 We have several different types of stamps we can use to put a design on your sheath. 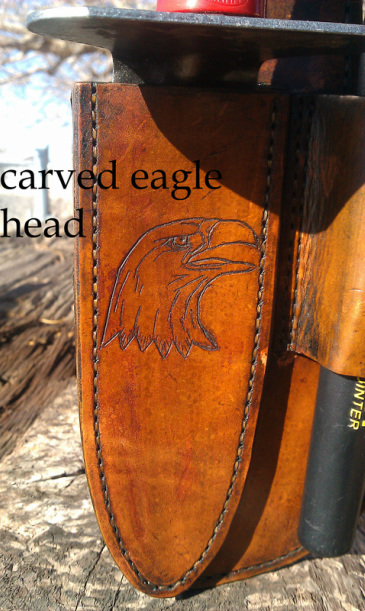 We also can carve animals on them, we have a bear,a flying eagle, a eagle head,a fish,a deer and a horse. 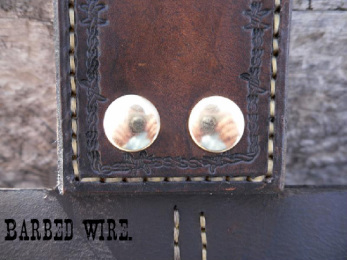 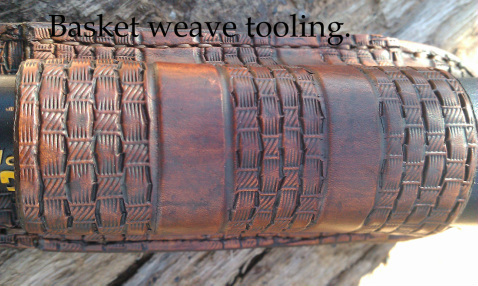 We also have barbed wire for the border of the sheath. 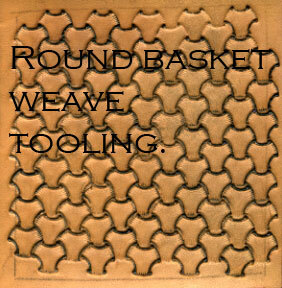 We have 2 types of basket weave stamps.A round one and a normal basket weave stamp. 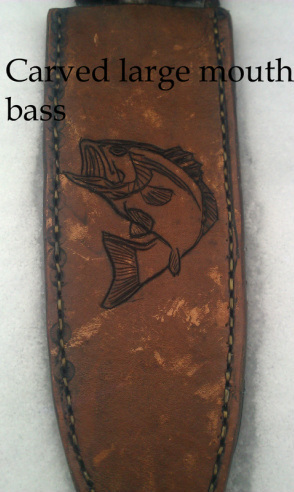 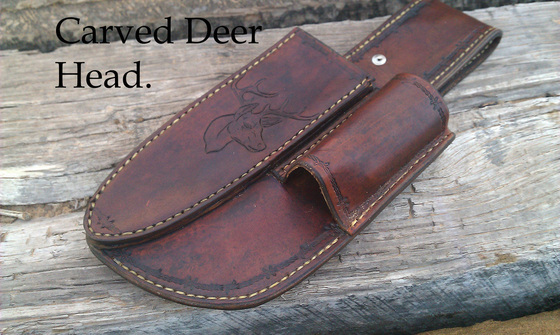 We can also put your initials on the sheath or pouch.